Mossel Bay Tourism’s Marcia Holm has extended warm Mossel Bay greetings to pilots and organisers who’ve landed in town for the Yak-52 and Intermediate Class World Aerobatic Championships. The event will run until 3 December. “We’re excited to have so many top-class pilots in town, and to be able to show them Mossel Bay as a premier aviation destination,” she said. Contest director John Gaillard – the vice-president of the International Aerobatics Commission (CIVA), and the vice-president for the Africa region of the Federation Aeronautique Internationale (FAI) – said that arrangements have run smoothly, and that the weather on registration day (26 November) had been brilliant. “If it continues like this, we’ll be fine,” he said. According to the event coordinator and secretary of the Mossel Bay Aero Club, John Boucher, Mossel Bay was chosen to host the event because it offers excellent infrastructure for flying as well as exceptional attractions for international visitors. The Championships will take place out of the Mossel Bay airfield, which boasts a paved, 1,200 metre runway, a club house, hangering, refueling, and aircraft maintenance facilities. “A total of about 60 pilots from New Zealand, Canada, Poland, Australia, Sweden, Brazil, Lithuania, Russia, Belgium, the United Kingdom, China, the Czech Republic, Hong Kong, Luxemburg, Portugal and South Africa are taking part,” said Mr. Boucher. Mr. Chiang achieved that feat when he was just 19 years of age. As a participant flying for Hong Kong and China in the FAI World Intermediate Aerobatic Championships, he’s also the first Chinese national ever to represent his country on the world stage of aerobatics. He arrived in Mossel Bay about a week before registration day. 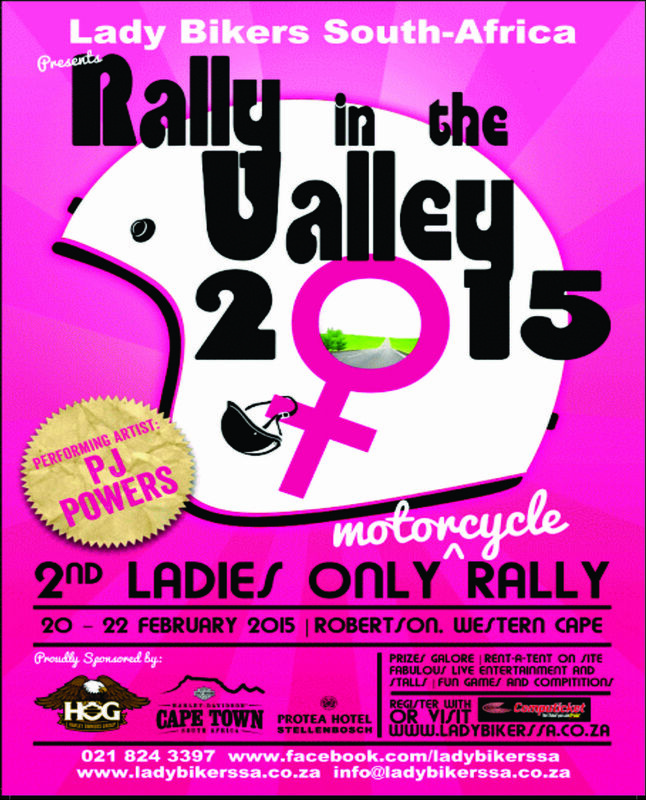 Ms. Holm said that having the Championships in the town is a huge feather in Mossel Bay’s cap. “The international exposure it’ll bring us will be enormous, and we thank the organisers and pilots for that – and for coming to our part of South Africa’s Garden Route. Die doelwit is om die straatparade wat op 31 Januarie 2015 as deel van die 2015 Diasfees gaan plaasvind, ‘n geleentheid van groot jolyt en gees vang te maak, en die Munisipaliteit nooi skole asook besighede om vlotte vir die geleentheid in te skryf. Die 2015 Diasfees sal van 29 Januarie 2015 tot 1 Februarie 2015 gehou word, en daar word reeds fluks gevorder met die reëlings vir die fees wat deur die Munisipaliteit gekoördineer word as ‘n projek om die dorp te bemark, en die plaaslike ekonomie te stimuleer. Die Santoskaravaanpark sal weer die feesterrein wees. Daar was vanjaar prysgeld van R10 000 vir die beste skolevlot, en dit word beoog om ook prysgeld vir ander vlotte in 2015 beskikbaar te stel. Optogte per voet is ook welkom. 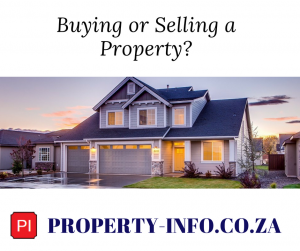 Belangstellendes wat meer inligting oor deelname aan die straatparade wil hê, kan vir Gordi Smit by die Munisipaliteit by (044) 606-5089 bel of per e-pos by bsmit@mosselbay.gov.za kontak. It has been a very busy week (20-24th October) for the Pinnacle Conservation team, with a total of about 600 learners (from Ridgeview Primary School) visiting the PetroSA NatureReserve over the course of five days. 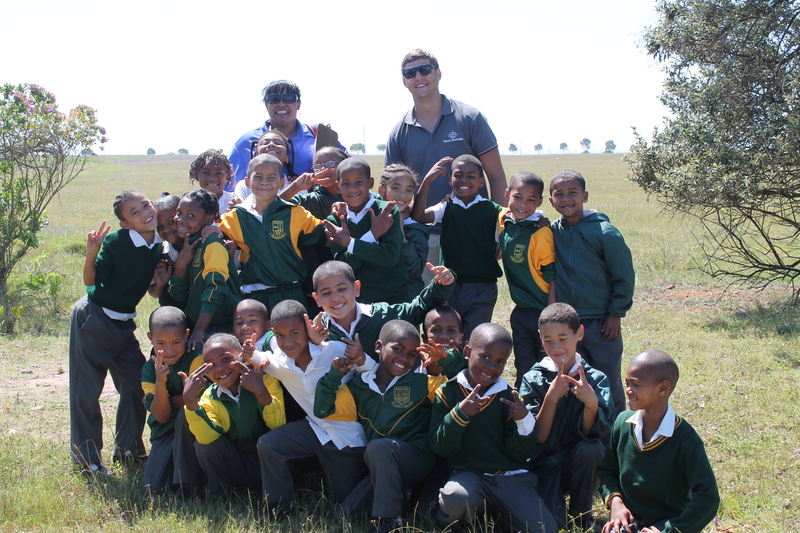 Ridgeview Primary School brought out their Grade R’s all the way through to the Grade 4’s, for an educational outreach to the PetroSA Nature Reserve. Each day a specific Grade came out to the reserve, where they were hosted by the Pinnacle Conservation team. The group (which was approximately 120 learners per day) was divided into smaller groups, of approximately 30 learners in order to manage the activities better and to make interaction easier. The reserve was divided into five education stations, and each group had an opportunity to visit each station during the outreach. The five stations were namely: Feeding Area; Aloe Valley Hiking trail; Medicinal plants; Snake Presentation and Activities. The Pinnacle Conservation team tried to incorporate the school’s curriculum, by creating an activity specific to each Grade’s requirements. The grade 4’s (the oldest group) got to experience the reserve a bit different to the rest of the grades, by taking part in the reserve’s first Amazing Race. The goal of the race was to collect as many animal pictures as possible, in order to complete their ‘Different Habitats’ poster at the end of the day. The Ridgeview learners remained in their class groupings, and were accompanied by their teacher from station to station. Each station had several challenges that needed to be completed, which would then earn the group an animal picture before moving on to the next station. 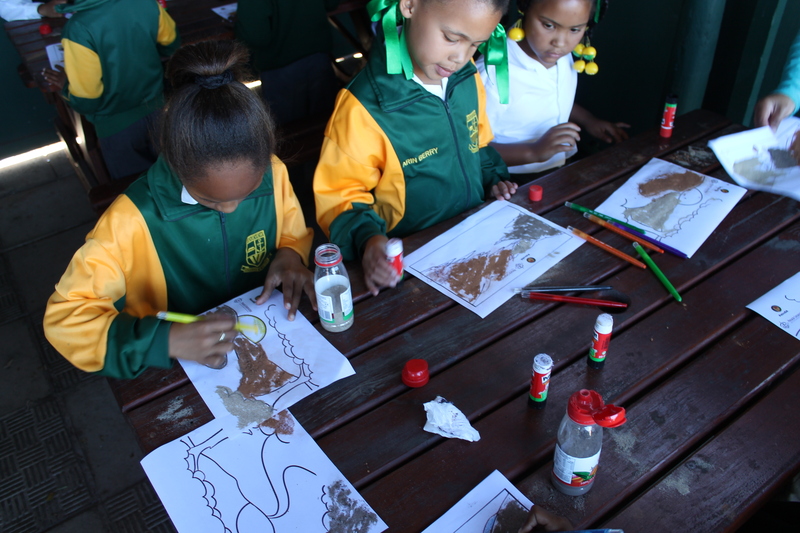 This proved to be a very fun way of teaching the learners about the environment and the children. The Pinnacle Conservation team really thoroughly enjoyed educating the children. Afterwards the learners were all spoiled with a lunch pack sponsored by PetroSA, which was received with much appreciation. Die Kersmark vind plaas op 18 – 19 Desember 2014 in die Klipkerk van die Moedergemeente op die hoek van Georgeweg en Kerkstraat, Mosselbaai-sentraal. Die mark sal elke dag van 9:00 tot 18:00 oop wees. Daar sal allerhande handgemaakte skatte wees, soos materiaal- en houtwerk, mosaïek, skilderye, speelgoed, ‘n kindertafel, eetgoed en nog baie meer. Kom word deel van hierdie mark. Bessie by 044 691 2465 kan gekontak word vir stalletjies. 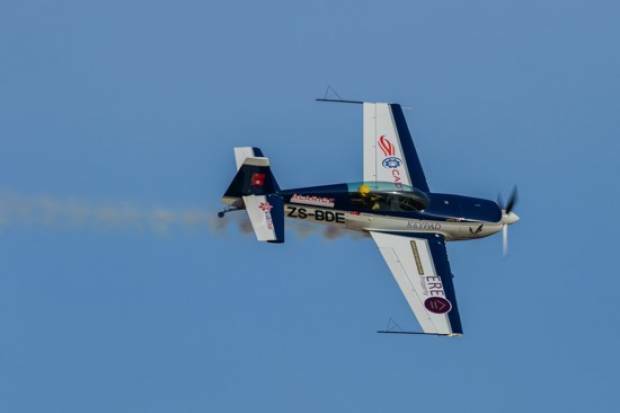 A total of sixty pilots from sixteen countries have been confirmed as participants in two world aerobatics championships to be held in Mossel Bay next month. The Yak-52 and Intermediate Class World Aerobatic Championships will take place jointly from 26 November to 3 December under Section 6 Part 1 (2014) of the Sporting Code of the Federation Aeronautique Internationale – the FAI. Mossel Bay’s Mayor, Alderlady Marie Ferreira, thanked the world’s Aerobatics family for choosing the town to be the first venue outside of Europe to host the event. “Mossel Bay is a first-rate destination both for sports aviation and pilot training because of its weather, its relatively quiet airspace, and its close proximity to the controlled airspace at the George airport,” she said. “We’re proud of our small but growing aviation sector – which includes the largest commercial helicopter pilot training academy in Africa – and we believe that the Yak-52 and Intermediate Class World Championships will provide an exciting and very valuable opportunity to showcase the town, and this part of the Garden Route coast,” she said. Contest director John Gaillard, the vice-president of the International Aerobatics Commission (CIVA), and the vice-president for the Africa region of the FAI, said that this will be the inaugural event for Intermediate level pilots. Mr. Gaillard usually acts as chief judge at world championships at both the Unlimited and the Advanced levels, but cannot serve in this capacity in his own country. Instead, Slovakia’s Palo Kafka will serve as the chief judge, and the judging panel will also include Nick Buckenham (from the United Kingdom), Aldo Marengo (Italy), Jan Maxen (Denmark), Jiri Duras (Czech Republic), Algis Orlickas (Lithuania), and Quintin Hawthorne (South Africa). “Entries are still open, but so far New Zealand, Canada, Poland, Australia, Sweden, Brazil, Lithuania, Russia, Belgium, the United Kingdom, China, the Czech Republic, Hong Kong, Luxemburg, Portugal and South Africa have confirmed that they will be sending teams of up to eight pilots each,” he said. The pilots will all fly South African-owned planes. 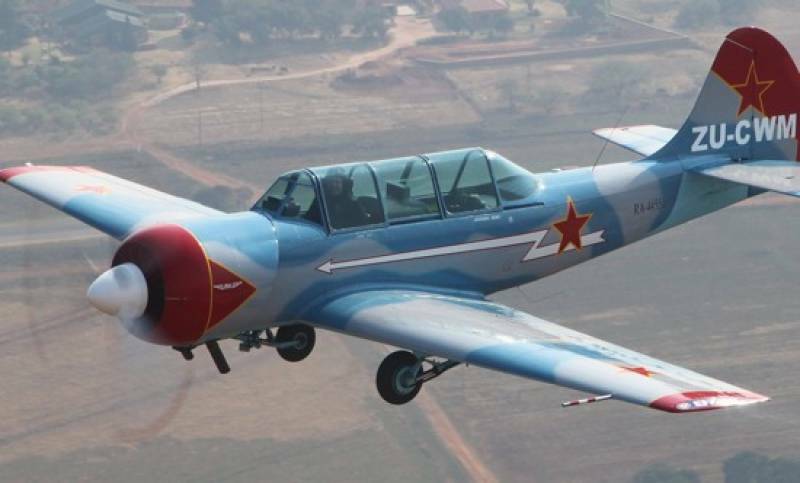 The Yakovlev Yak-52 was first built as a trainer aircraft for the Soviet Union in 1976, and is still produced in Romania. With a cruising speed of 190 km/h, and a top speed of 285 km/h, it’s become a popular aircraft for civilian aerobatics around the world. Previous Yak-52 World Championships have been held in Russia (2008 and 2012), and Lithuania (2009). Event coordinator and secretary of the Mossel Bay Aero Club, John Boucher, said that Mossel Bay offers excellent infrastructure for flying – and great attractions for international visitors. The club is based at the Mossel Bay airport, which boast a paved, 1,200 metre runway, a club house, hangering, refueling, and aircraft maintenance facilities. The airfield is also the home of Skydive Mossel Bay, and Starlight Academy – Africa’s largest commercial helicopter pilot training school. “Mossel Bay was chosen as the venue for these competitions because of the quality of the airfield, the selection of local accommodation and attractions, and the enthusiastic support of the Mossel Bay Municipality,” he said. Mossel Bay Tourism’s Marcia Holm said that the Championships will provide an important boost to the local tourism economy, and she thanked the Mossel Bay Aero Club for its part in making the town a premier sports tourism destination. “We trust that Mossel Bay will once again deliver the safe and lovely flying conditions for which it’s become justifiably famous,” she said. When the starter’s gun fires this Friday for Mossel Bay’s first lighthouse-to-lighthouse trail run, it’ll be firing, too, for the start of three weeks of sporting excitement for the town – with no less than three different national championships, a provincial championship, and a festival featuring events in more than thirty different odes on offer. The three-week-long feast will begin with the 3rd Oystercatcher Trail Run – from Ystervarkpunt Lighthouse on Rein’s Coastal Nature Reserve to Cape St. Blaize Lighthouse at The Point, Mossel Bay – which is limited to a maximum of 150 athletes, and which was sold out within hours of opening. Event host and Mossel Bay Tourism Board member, Fred Orban (of Sandpiper Cottages, and The Oystercatcher Trail and Hunter-gatherer Trail luxury walks) said that sport and sporting opportunities are amongst the biggest attractions for visitors to Mossel Bay. “The media and social media coverage of the events of the next three weeks will provide a massive boost to Mossel Bay Tourism’s marketing, and will showcase Mossel Bay as a top destination for athletes and their families,” he said. The Southern Cape Board Riders Association’s Llewellyn Whittaker – owner of Mossel Bay’s Waves School of Surfing – said that Surfing South Africa’s Open Surfing Championships will take place at The Point, Mossel Bay, from 24 to 28 September. The new South African Surfing team will receive their colors at the Protea Hotel Mossel Bay on the evening of the 24th. PetroSA’s annual Development Run will take place on the 23rd of September at D’Almeida Sports Grounds – and runners are asked to bring their old running shoes to the event, and to donate them (via Shoes For Planet Earth) to help children and teens who also love the sport, but can’t afford the equipment. The run is the traditional precursor to the annual PetroSA Marathon (10, 21, and 42 km road races on 27 September at Santos Caravan Park), which expects to draw a number of international athletes this year, and which has recently been accredited by the International Association of Athletics Federations (IAAF) and the Association for International Marathon Standards (AIMS). This means that participants in the PetroSA Marathon can now use the event as a qualifier for participation in any international road running event around the world, and even for events like the Commonwealth Games or the Olympic Games. 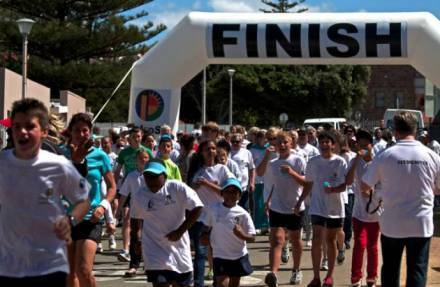 Although the PetroSA Marathon takes place a week before Mossel Bay’s Annual Sports Festival (a decision influenced by the differences between the national athletics calendar and the national school calendar), it is nevertheless considered one of the iconic and official events of the Festival. “The Mossel Bay Boat and Yacht Club will be organising the event as the Southern Regional Champs incorporating the Eastern Cape Provincials 2014, as well as the South African Mosquitoes (catamaran) and Fireballs (dinghy) Championships,” said Elfie Holden, who is helping to organise the regatta. She said that the event will attract in excess of 140 people. Mossel Bay’s Sports Festival also features the country’s biggest cricket tournament: the KFC Point High Cricket Festival (3 – 7 October), which has drawn entries from 32 teams from South Africa and Namibia, who will play a total of 61 games on 16 fields. Other highlights of the Festival include a motorsports gymkhana, soccer, skateboarding, bowls, cycling, jukskei, schools athletics, and golf (the Pinnacle Point and Mossel Bay Golf Courses have teamed up to create the first ever ‘Best of Mossel Bay’ tournament on 3 and 4 October – which will include one round at each course, shared cart hire at Pinnacle Point, prize-giving ceremonies on both days, and an evenings of entertainment at Pinnacle Point – all for just R 600.00 per player). But, said Ms. Holm, the Festival isn’t only for athletes. “We want to make this an event for everyone, so there’ll also be a doggie walk in aid of the SPCA, as well as the MossMarch – our always popular mass walk – and a great street party on Saturday the 4th of October. Popular TV personality and director of the National Braai Tour, Jan Braai, will return to the place where people made their first braais – the Pinnacle Point Caves near Mossel Bay – this Friday together with the 120 members of the Tour. He described the Tour as a social rally around South Africa during which teams of four people each will visit important cultural and natural sites. He filmed his last visit to the Caves for the show ‘Jan Braai vir Erfenis’ (Jan Braai for Heritage) that was aired on KykNet. Jan’s visit to the Caves will begin with a lecture by Dr. Peter Nilssen, the archaeologist who introduced the Caves to Science. Dr. Nilssen said that the archaeology of the Caves has revealed the earliest evidence for the use of ochre as paint (which places them as the birthplace of culture); the earliest evidence for the use of complex technology – including the use of heat for stone tool production; and the earliest evidence for systematic harvesting from the sea (which represents advanced cognitive behaviour since it points to a knowledge of tides and, perhaps, the lunar cycle that influences them). More than forty scientists from around the world have been working – and continue to work – to unlock the secrets of the climate, the environment, the ecology, and the anthropology of the Middle Stone Age under the leadership of Curtis Marean, an associate director of the Institute of Human Origins and professor at the School of Human Evolution and Social Change at Arizona State University. The research into the climate of the area covers the period 400,000 to 30,000 years ago – and, since the Caves contain the longest record of human habitation of all Middle Stone Age Sites (more than 120,000 years), this could deliver insights into how humans adapt their behavior to changes in climate. Jan Braai said he was excited to return to the Pinnacle Point Caves. “It’s a beautiful town and a great holiday spot. I’ve had incredible meat at places like Kaai 4 at the Harbour, great pizzas at Delfino’s (at The Point), and probably the greatest meal of the year at Café Gannet, at the Protea Hotel Mossel Bay. Fred Orban, coordinator of the Point of Human Experience – through which the public can access the caves, and learn about the origins of modern human behaviour in the company of Dr. Nilssen – said that visits to the Caves are usually limited to small groups of about twelve people at a time. Before visiting the Caves, Dr. Nilssen will deliver a lecture on the origins of modern human behaviour in the Bravo Lounge at the Garden Route Casino. Mr. Orban thanked the Casino for making the venue available free of charge, while Jan Braai thanked the people of Mossel Bay – and particularly those associated with the Pinnacle Point Caves – for making the visit possible. He said that he and his team will be filming “a few episodes” of Jan Braai vir Erfenis, which will screen on KykNet during October. Sunday, 28 September 5-, 10-, 21.1-, and 42.2km road races with a total of almost R600,000 in prize money and other incentives up for grabs. The PetroSA Marathon is strictly a pre-entry event. Please see www.aswd.co.za/event/petro-sa-marathon for details. Wednesday, 24 –Sunday, 28 September. A festival aimed at positioning Great Brak River as “the Art Village of the Southern Cape”. Highlights include a landscape installation on Suiderkruis Beach by the internationally acclaimed Strijdom van der Merwe, book signings, music, cabaret, wine tasting, high tea, art exhibitions, and more. Please see www.greatbrak.com and www.mosselbayart.co.za. Begin: Vrydag, 3 Okt. – vanaf 13:00 tot laat !! Saterdag, 4 Okt. – 9:30 tot laat !! Kom besigtig die nuutste kamptoerusting, woonwaens, veldwoonwaens , veldsleepwaens, 4-trekvoertuie, bote, tente – nuutste tegnologie, kragbesparingstoestelle en – beligting. Kom kuier en ry saam met Andre DeVilliers die 4×4 spesialis in sy eie TV voertuig waarmee hy weekliks op TV verskyn en belewe die avontuur!!!!!!!! Die vispotjie en visbraaikompetisie vind Saterdag vanaf 10:30 – 14:00 plaas. Skakel TIAAN LOURENS van Cachalot by 082 412 6953 / 044 695 0094 om in te skryf. Lekker vet pryse kan gewen word. Hope pret vir die kinders om die hele dag besig te bly. Kom leer oor die gebruik van HEUNINGBOSTEE, VOLSTRUISLEER, NGUNIBEES LEERVELLE en vele meer. Groot hoeveelheid stalletjies met interessante verskeidenheid artikels. KEN van die skubaduikskool, sal mense touwys maak in ‘n swembad op die perseel. VRYDAGAAND is Chris Els en Dillon op die verhoog en SATERDAGAAND is Arno Jordaan en Joe F daar om u te vermaak. U toegangskaartjie is ook geldig vir die aand se vermaak. Saterdagoggend sal daar ‘n straatmyl plaasvind wat die voorloper vir Desembermaand se Driehoekige straatmyl is – dit begin op Oudtshoorn, van daar na George wat dan op 23 Desember, op die Hartenbos Amfiteatergronde eindig . Hou die pers/media dop vir alle nuwe toevoegings tot die uitstallings en programme. Kom kuier saam…………en geniet die BUITELUG AVONTUUR!! !